Getting your feet tattooed, and how to handle the aftermath. 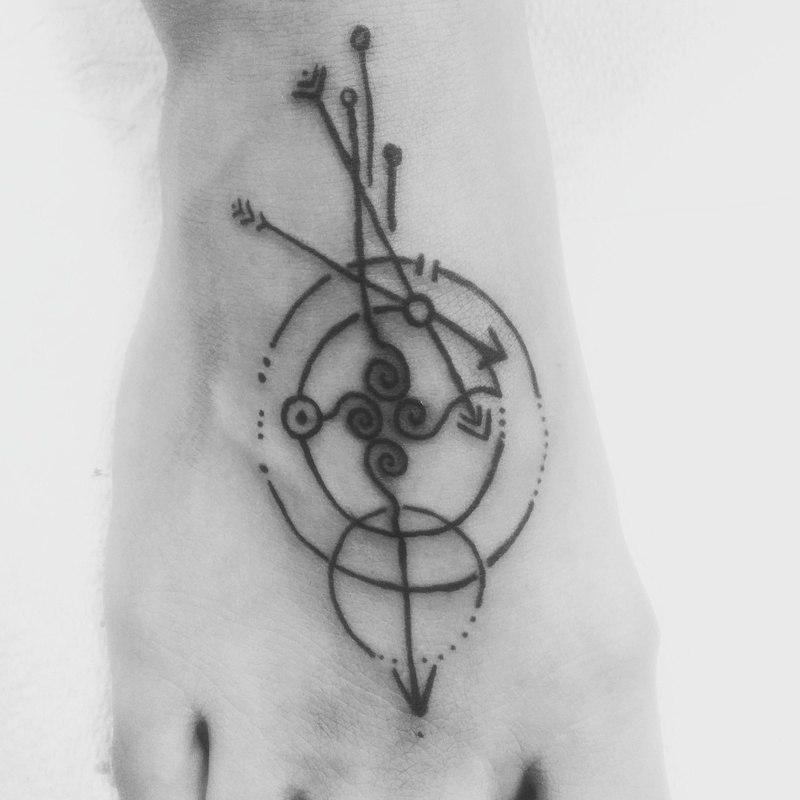 I really like foot tattoos. 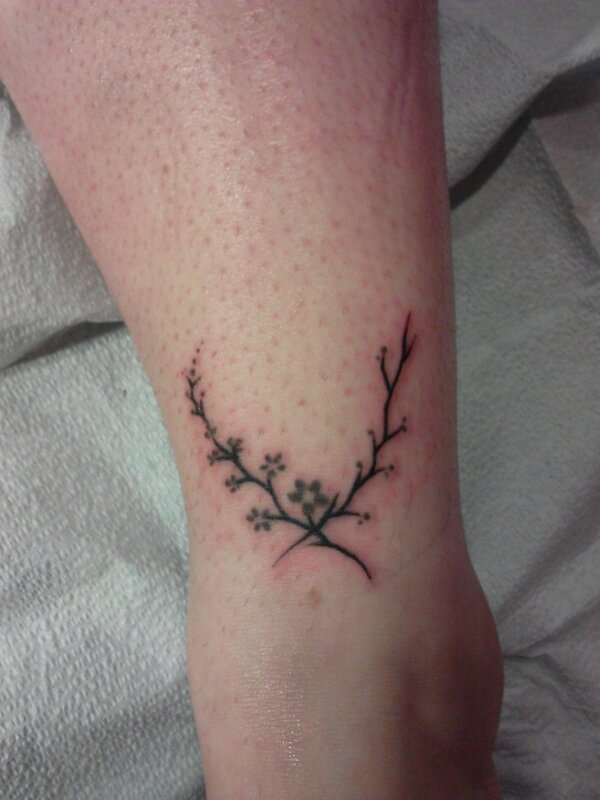 I think they can look great, and it’s a good place to get a smaller tattoo done. 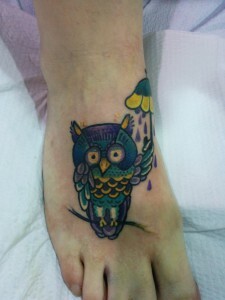 That said, there’s a few things you should think about when you decide to get tattooed on your feet. First of all, there’s not a whole lot of room, so you’ll have to pick one idea, and keep it pretty simple. Any more than that and the inevitable spreading and wear-and-tear on the ink will make it indecipherable very quickly. So next, make sure the image has a good amount of contrast. Edges! Soft stuff won’t hold up as well in the long run, and while you can get away with that in other areas, the feet aren’t the place to gamble with. The next thing to think about is healing. 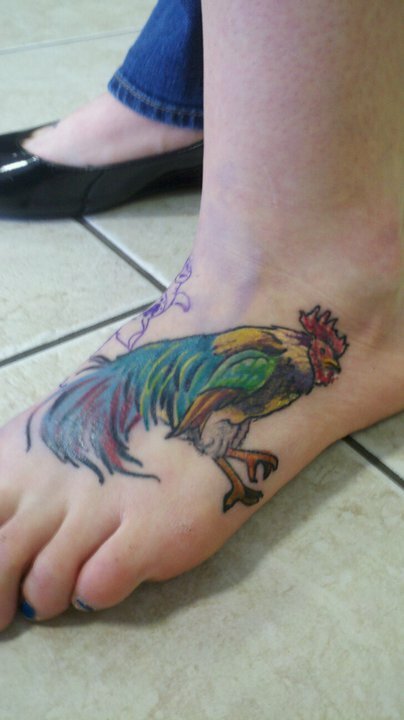 When you get your feet tattooed, you’ll have to go without socks, and wear only shoes that do not directly rub against the tattoo while it heals. So if that means you can’t work, wait until you have at least ten days off in a row, to allow for the skin to settle down. Also, feet can swell a lot, so be prepared to elevate your foot the next day, and maybe even ice it. Placement is super important too. It’s pretty obvious where the skin changes from regular skin to that wrinkled, shiny kind of skin that you find on the palms of the hands and soles of the feet. The areas that are very shiny or wrinkled won’t hold ink very well at all, at all. 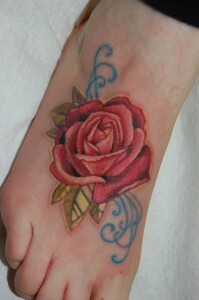 So plan to get the tattoo on the top of your foot, not out onto the sides very far. 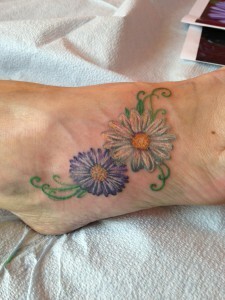 While you CAN tattoo back near the achilles tendon or off to the side a bit, it simply won’t hold as well as the normal skin on top of the foot does. To keep your foot tattoo looking good for a long while, after it’s healed (according to the aftercare your artist gives you) then be sure, in summer, to use plenty of sunscreen or wear closed/covered shoes over it. Feet get a lot of sun and you might not even think about it! Sun is the biggest destroyer of tattoos. So cover them up or give them a good layer of screening to protect them.